You are currently browsing the Fat Cyclist weblog archives for May, 2018. In my post at the end of last week, I was thinking about how to create a giveaway around my new Leadville Podcast (find it at “>Apple Podcasts and anywhere else you listen to podcasts. 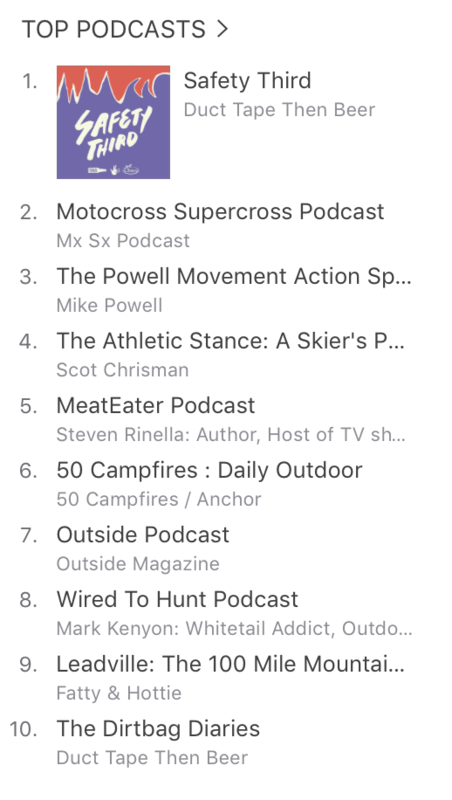 The problem I had was was complexity: I was asking people to jump through too many hoops, when really all I want is to support my sponsors (in this case, The Feed, and get people to give my new Leadville podcast — the best show I’ve ever made, by like, a lot — a shot. I think I’ve got it figured out, and I’d like you to be my beta testers. The contest idea is simple: listen to the podcast, then answer a question you’ll know the answer to if you listened to my sponsor spot for The Feed. Before the next show, I’ll then pick a person from all the correct answers and email them the gift card to The Feed, which — I might add — has put together a “Fatty’s Leadville Box” that has all the products I use to have a fast day during a high-altitude race like Leadville. Then, fill in the form (click here to go to it if you don’t see it below). And that’s it! Let me know what you think of this contest in the comments, and thanks for participating as I experiment and explore, looking for fun and interesting ways to combine things I’m excited about (i.e., this blog and this podcast), while supporting a company that is taking a pretty fair-sized gamble on a 2-week-old podcast. Every bike ride has a story in it, and a story worth telling. Further, every big bike ride has either a big story worth telling, or many smaller stories worth telling. And one of the best things about those big rides is finding out what stories they’re going to tell you. Last Saturday, The Hammer and I went on our weekly big ride — our “Crusher in the Tushar” simulator ride, because it has dirt, road, a similar distance as the Crusher, and similar elevation — you can see a little video showing the path here. There were, however, several small, interesting events worth telling. And one small event that pretty much freaked us out and ruined one of our favorite trails for us forever. First off, I should explain that this moment happened toward the very end of our long ride. We had ridden about 70 of the 76 miles and climbed about 9700 feet of the 10,000 feet we’d be climbing. And the Hammer had bonked. 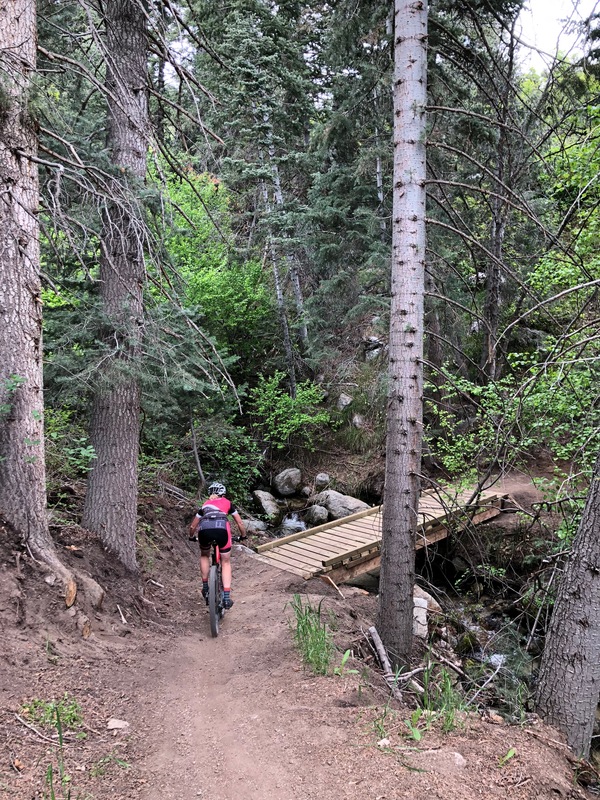 It was pretty spectacular, really, because no more than an hour ago she had been proposing an extension to our ride — an extra segment of climby singletrack that would mean at least an additional hour of riding. She was no longer making such proposals, for which I was grateful. Anyway, we were climbing — slowly and tiredly — the last couple miles of the Canyon Hollow trail in Corner Canyon. The Hammer was in front. I was a foot or two behind her. We were talking about sandwiches and ice cream, I’m pretty sure. And that’s when the rattlesnake rattled its warning at us. Yes. That’s not a clever metaphor. It was a rattlesnake. On one of our favorite trails. And it was not OK with the fact that The Hammer was at that moment riding six inches to its right. I didn’t exactly need the warning, because as soon as I heard the snake I looked to where the sound came from and, yep, there it was. About two feet long, in full view, on the left edge of the trail. I stopped instantly. The Hammer stopped too, about five feet ahead of me. The snake moved onto the trail. “That’s fine!” The Hammer said, an octave higher than usual. The snake hung out in the middle of the trail for ten seconds or so, then went back off the left side of the trail and disappeared into the scrub oak. The Hammer suddenly had all the energy she could ever want and virtually flew up to the top of the climb. Yesterday, we went on a different mountain bike ride — a much shorter one — which took us up on the Canyon Hollow trail. The whole way up, I was scanning up ahead — left, right, left, right — looking for rattlers. Every stick, every exposed root, was at least briefly a rattlesnake to my eyes. “I don’t like this trail anymore,” I told The Hammer, feeling a little foolish since we have ridden this incredibly beautiful and benign trail hundreds of times and have never seen anything menacing or scary before. So I have a question. A simple, honest question that probably has a simple answer. Take a minute and answer in the comments if you would. What would you have done in this circumstance if you had been bitten? And that circumstance is: There are two of you, you’re on singletrack probably about three miles from a road. Your car is nowhere near. You do have a phone and service. I’m of course interested in wisdom from people who know what they’re doing for this kind of thing. First responder types and survivalists who frequently walk about town with serrated blades clenched in their teeth and whatnot. But I’m even more interested in the honest responses from people who — like me, like The Hammer — aren’t really sure how you would have dealt with it. And also: would you be wigged out by that trail? For how long? I am in love with my new “Leadville” podcast (find it on Apple Podcasts and everywhere else). The amount of actual useful information my co-host Michael Hotten and I are squeezing into every single episode is just nuts. I mean, it’s like we’re actually planning and organizing a really useful program, talking with experts and leveraging our own experience, and then spending the time to make it all sound great. 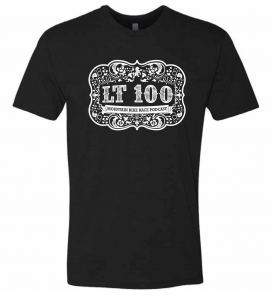 And it’s definitely not just for people racing the Leadville Trail 100 MTB race (though it for sure has a lot of info specifically for LT100 racers). In this episode, we talk about the endurance racer’s worst enemy: cramps. I interview Rebecca Rusch — The Queen of Pain — to get her tips on avoiding and surviving cramps, and Hottie and I talk about our own experience and expertise on dealing with cramps, too. I detail the dash for the Leadville City limits in our “The Course” segment, digging into the seven most important things you can know about in the first six miles of this race. You’ll be astonished at how many of these tips are useful no matter what race you’re doing. Finally, Coach Jonathan Lee of TrainerRoad talks about rest intervals, an often-neglected piece of getting real race fitness. If you’ve ever cramped — or would like to avoid them in the future — you should listen to this episode. And you should subscribe, too, because that will make me happy. We went out of our way, for this podcast, to reach out exclusively to companies we actually love and buy stuff from ourselves. Which is to say, you won’t find ads here for life insurance companies or mattresses or cooking kits that come to you in a box. Shimano: Shimano XT Di2 is glorious anywhere, but its magnificence really comes into play when you’re 78 miles into a high-altitude race and are now at a part of the race where it would be really nice to shift pretty much constantly, precisely, and perfectly, without much effort. That’s Shimano XT Di2. The Feed: The Leadville Trail 100 MTB Race is an eating contest disguised as a bike race, and you need to train for that eating contest. Get to know the good folks at The Feed and start using your race food plan now, before it’s too late. Banjo Brothers: A simple, sturdy, well-designed, time-tested saddle bag is a must during this race. Fatty’s trusted Banjo Brothers bags on his LT100 bike race for more than a decade. ENVE: Whether you’re thinking about your cockpit or your wheels, the Leadville 100 is the very definition of an ENVE dream scenario. I’ve got an M5 bar and M525 wheels on his bike and rides without fear of broken components or pinch flats. UPDATE (Tuesday, 5/29): Over the long weekend, I thought more about this giveaway. I still like the idea, but it has problems. Specifically, I have a long history (and fair amount of success) with giveaways and contests that happen via a blog, which allow you to quickly and instantly take action (i.e., participate in the contest) if you want to. That’s not the case with a podcast-based contest. I think of my own podcast usage and I rarely (if ever!) am near a computer when I listen to a podcast. I’m driving, or exercising, or doing the dishes. I’m in no position to take action at that moment. I need to figure out how to make a podcast / blog integrated contest / game that doesn’t require my readers / listeners to behave in a way that I myself never behave. I’ll probably talk this over with my 22yo son, who has a great mind for gamification. This isn’t over. I just need to figure out how to make it work for you, for me, and for my podcast sponsors. Stay tuned! Those of you who’ve known me for a while know that I like contests. I like designing contests so they accomplish something good — sometimes raising money for a cause, sometimes to learn something, sometimes to help me keep some kind of commitment…like getting myself to race weight. When I design a good contest, it’s easy to participate, fun, doesn’t hurt anyone (except possibly me), and is interesting. And of course, it brings attention to things I want attention drawn to. I think I’ve got a good contest figured out. I hope you’ll participate. It won’t cost you anything to play, and there’s a pretty decent chance you’ll win something. Wow, that was an unnecessarily large amount of preamble. You totally could have skipped it. I’m sorry you didn’t. You could have skipped everything in this paragraph also. And this one, too. But not the next one. In each of the upcoming episodes of my new podcast (beginning with S1E2 coming out this Tuesday), I’m going to announce both my current weight (as of the morning we record) and my target weight for the next time we record. I will at that time also give a URL for where you can go to enter the contest (that link will also be in the show notes for that episode at leadville100podcast.com). All you have to do to enter the contest will be go to that site — it will be a simple little Google Form-ish survey — and enter your first name, your email address, your t-shirt size and shipping address (in case you win!) and the weight I announce I have (because one of my objectives for this contest is to build an audience for this podcast, so if you don’t listen, you won’t know the number and won’t win). I will choose two winners each week: the first person to enter the correct number in the form, and a random person to enter the correct number in the form. Both the first person and the random person will get a podcast t-shirt. The shirt design I’m showing here isn’t final, but it ain’t far off. The random person (not the first person) will also win a $50 gift certificate to The Feed, which has been gracious enough to be one of the sponsors for this show. Easy, right? Damn right it’s easy. Well of course there’s a catch. But the catch isn’t for you, it’s for me. Because if I don’t hit the weight target I set the previous week, there are FIVE MORE prizes. Specifically, I will draw at random five more t-shirts and send them out. And I have to pay for those shirts. Including shipping. How Will You Know You Won? I’ll send you an email telling you you’ve won. And also, you’ll get free stuff. Let me know what you think of this contest idea. I especially am interested in ideas on how I could make it better and easier for you and more complicated and more work for me. Here’s an interesting fact: thanks to you and your subscribetasticness to the Leadville Podcast (on Apple Podcasts and everywhere else), my new show is currently in the Outdoor Podcasts Top 10 list (#9 as I write this on Friday afternoon) and has been for more than 24 hours, meaning it’s not a momentary fluke. Why don’t you help me hold on to this moment of glory — and get yourself set for entering this weekly giveaway — by subscribing to my Leadville Podcast on Apple Podcasts right now — and then listening to all of the “Season 0″ stories I’ve posted during the weekend. S0E2: My Second Leadville 100, with race reports from Dug and Bob, too. The Hammer told me last night that she just listened to my story of the first time I finished under 9 hours and it made her cry, which maybe is the nicest thing she’s ever said to me. So here it is for you to play / download / subscribe in whatever way suits you. PS: Have a great weekend. I’ll be back Tuesday, with the next weekly show…and I wouldn’t be surprised if I have the beginning of a long training ride report. PS: My current weight is 169.5, for crying out loud. Yeah, I know: I’m 5′7″ so everything I write is a short version. But I think before I start writing stories, it might be worth a little (ha!) recap of the real reason I quit blogging, what’s going on, and what I’m planning to do with this blog now. In my “Thank You” post I wrote back in 2016, I said I was grateful for the 12 years I’d had blogging, which is true. And for all the good you’ve helped me do, which is true. What I did not write is why I was ending the blog. The reason for that was simple: I was miserable and simply couldn’t handle everything anymore. I had made a huge mistake in taking a particular job and knew something had to give. I compounded the mistake by instead of giving up the job, giving up this blog. By the time a few more months had come and gone, I was a wreck. And by summer of 2017, I was a disaster. Finally, on the advice of a very good friend (who also helped me out in some very material ways), I quit. And went job hunting. And then I got very lucky. Last October, I got hired by Adobe. I’m the comms guy for the TechOps department. And I am without question the happiest I have ever been in my career. It is so great to be excited to come into work every day and be a part of a company you’ve admired for pretty much ever. This is not going to be a fast year for me. This is a year when I work on getting up to speed at my job, and ride for fun. And yet, The Hammer and I are signed up for the Breck Epic — six days of glorious endurance mountain bike racing in Breckenridge, CO.
And the day after the Breck Epic, we’re racing the Leadville 100 (my 21st finish, hopefully!). So yes, that’s seven days of racing, with the seventh day being pretty danged hard. Luckily, however, the first six days of racing are also hard, so that should be good training. I’m going to do things I love in this blog. First, I’m going to tell stories — funny when I feel like it, serious when I feel like it. Absurd when I feel like it. I’m going to fundraise, albeit less often. Like, one fundraiser per year, and it’s got to be easy for me to do. 100 Miles of Nowhere benefitting Camp Kesem, anyone? I’m also going to go back to my roots: Tomorrow will be my first weigh-in as I try to get the “weight” part of my personal power-to-weight equation a little more to my liking. Will there be a contest? Probably. But I haven’t figured out the details. And finally — and this is important to me — I’m going to podcast, and I’m going to ask you to listen. Specifically, it’s important to me that you listen and subscribe to my new Leadville Podcast. Please, head over to Apple Podcasts, subscribe, rate, and review this show. I’m incredibly proud of it, and your rating and reviewing it helps it rise above the noise out there. I’ve got two other podcasts I’m involved in — the GU Pinnacle Podcast, and the AF Canyon Run Against Cancer. I’ll be promoting those here too, because they’re both great shows. There are episodes of the AF Canyon Run Against Cancer podcast that will break your heart, and that’s WHY you should listen to it. I’m going to do more cliffhangers in my race reports than I ever have before. I love cliffhangers. PS: I’m probably less than 5′7″ since most people shrink as they age. I’m unwilling to find out. PPS: Here’s a photo of The Hammer riding some brand new singletrack accessible out the front door of my house. Feel free to express your envy in the comments.